Bournemouth 183 A Bedford OWB with a Duple body was exported to the USA after service in London. It has just been reported in the PSV sheets as changing owners in late 2006 in San Francisco. 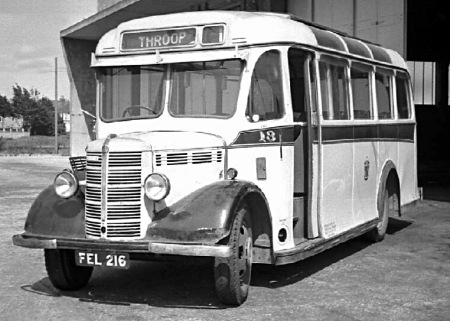 Did some of the late Bedford WTB’s have the OB bonnet style or was this an attempt to modernise the front? Interesting point, Chris. The OB replaced the WTB in 1939(?) and almost immediately became the war-time OWB, The OB returned in peacetime – around 1946. So is this a WTB or is it simply a pre-war OB? This style of bonnet and radiator grille was introduced in 1938 on the WTB and also on all the rest of the W-series range. These were replaced by the K, M and O-series the following year. The WT-series had no external radiator filler cap, and high mounted headlamps, whereas the O-series had an external filler cap and lower set headlamps. This is generally a good way of telling them apart, but in later life it was not at all uncommon for operators to mix and match parts – so it is not 100% reliable. Thx, John S, for the answer. 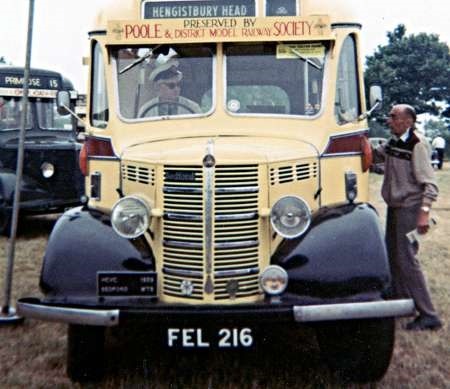 This bus was preserved by the Poole and District Model Railway Society. 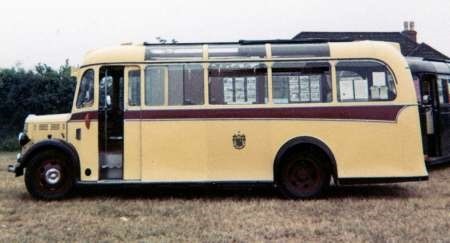 I have a couple of pictures of FEL 216 after restoration in 1967. FEL 216 went from Poole & District Model Railway Society to Tim Salter of Wareham in 10/98 along with sister FEL 218. FEL 218 was later (circa 98) broken up for spares, with the intention to restore 216. From what I can gather very little progress has been made on FEL 216 & it is still owned by Tim Slater. Whilst on the subject of these Bournemouth WTB’s EEL 46 a 1938 Burlingham WTB is now just a rolling chassis after acquisition by Cyril Kenzie in 5/08, the body deemed to bad to restore. The chassis is still with Kenzie. Here are a couple of shots after FEL 216 had been preserved by the Poole and District Model Railway Society.